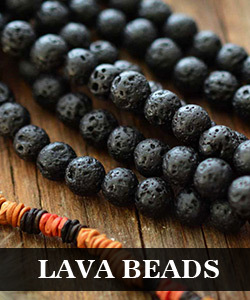 Summary: Wanna make an ocean bead bracelet? Look here! 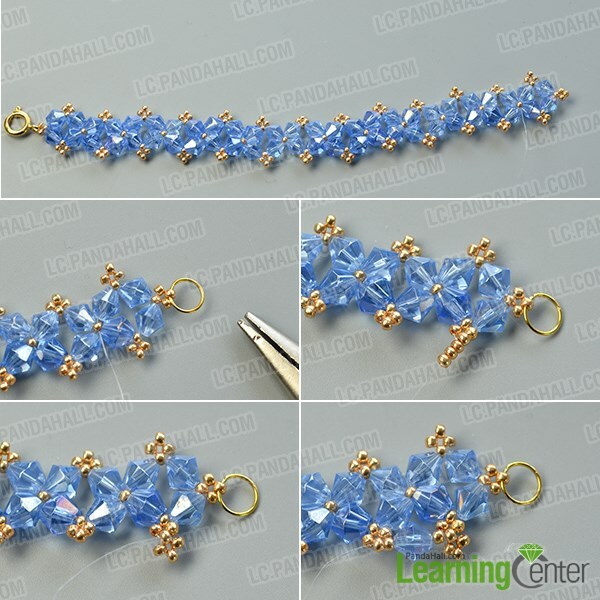 This tutorial will show an ocean style blue glass bead bracelet to you all. 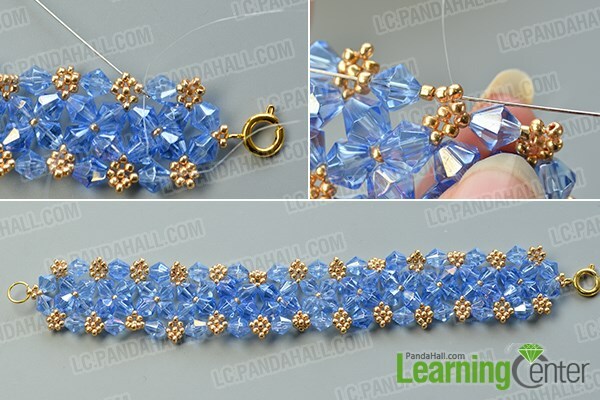 See this DIY glass bead bracelet, how do you think of it? I love the blue beads so much and I think it is really suitable for one to wear on summer. 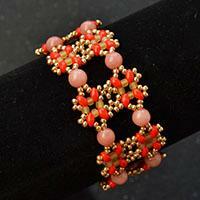 Then I will tell you how to make a beads bracelet in details, you can follow me to make one as well. 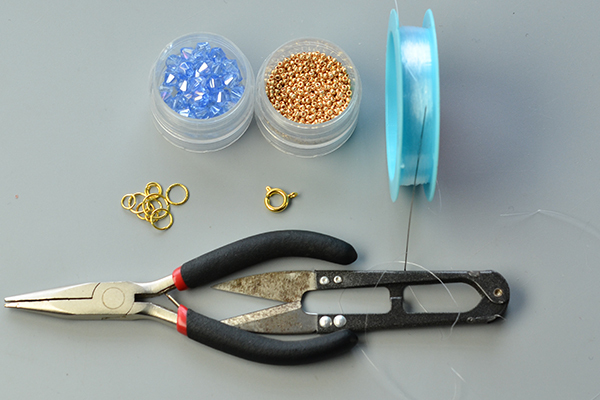 3rd, slide a glass bead and 4 seed beads to the wire and cross it back through the first bead as pictured. 3rd, cross the wire back through the seed bead and add a glass bead to it, then cross the wire through the glass bead to form the second bead loop. 3rd, slide a seed bead, a glass bead and a seed bead to the wire, then cross it through the next seed beads. 3rd, repeat the 2nd process in this step to finish the rest part till the end. 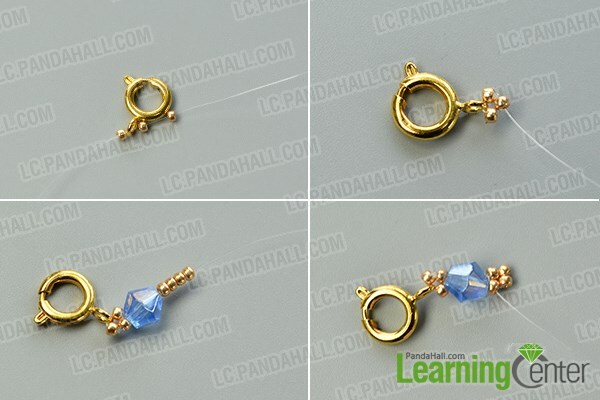 3rd, make a knot with the wire to fix the beads and cut off the excess wire. 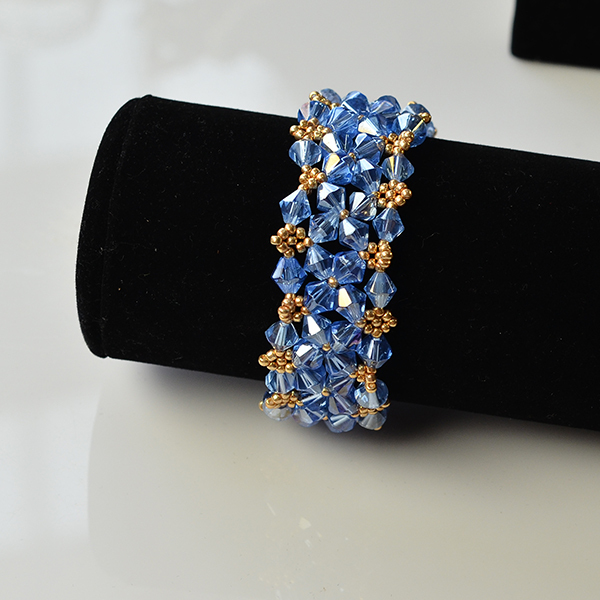 Here is the final look of the blue glass bead bracelet. 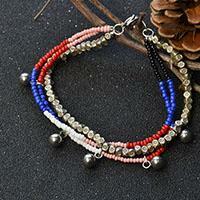 There are so many DIY glass bead bracelets on our web, do you like them? Today’s project is quite stylish and fresh, do you think so? 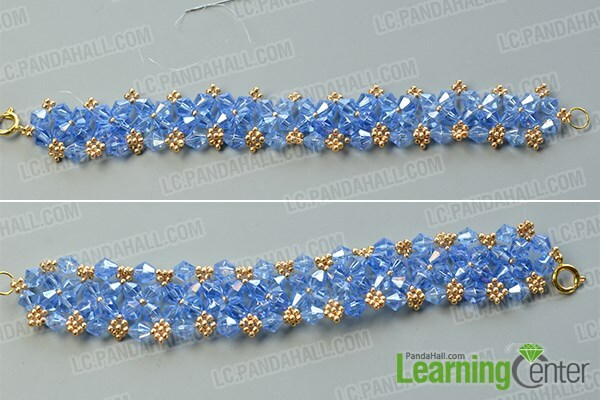 If you are interested in making the blue glass bead bracelet as well, just join me and try to make one now! This project is inspired from http://lc.pandahall.com/craft-ideas/13160.html.